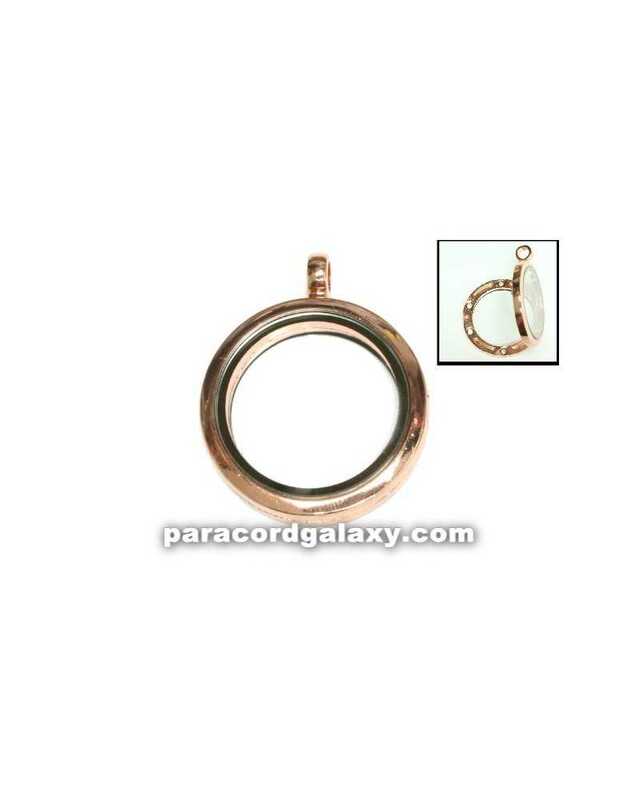 This floating round locket pendant measures 30mm. It is made from zinc alloy and glass. Magnetic closure. Lockets house floating charms which are sold separately. The hole measures about 4mm and can fit with our 550 paracord, but smaller sizes will have better movement.